Interiors can be either completely finished and trimmed as a living space, or unfinished, depending on your preference. 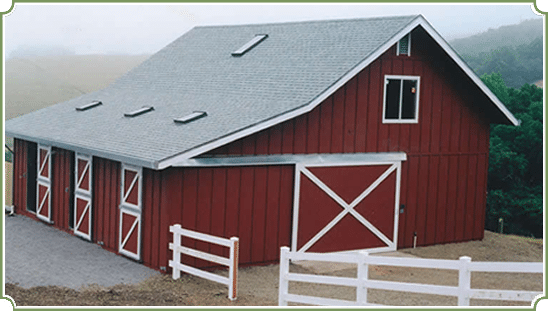 Carl Santos Construction has been building and restoring barns of every shape and design for more than thirty-fve years. Call Carl for a consultation on your live/work barn project.